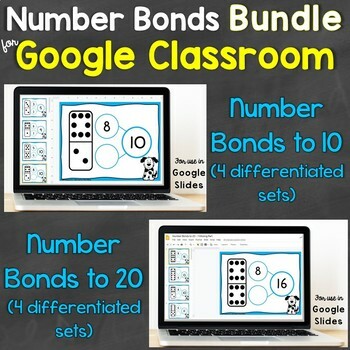 Easily provide differentiated, interactive number bonds to 10 and number bonds to 20 practice for Google Classroom, Google Slides as well as hands-on practice using real dominoes with this resource that provides links to Google Classroom products as well as a printable center page! 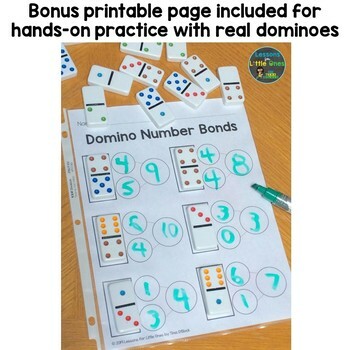 Harness students' excitement for technology and dominoes to help them think algebraically and build a strong foundation for addition and subtraction. 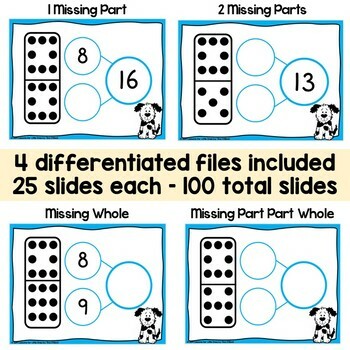 You receive 8 differentiated sets of Google slides (25 slides each for a total of 200 slides) as well as a printable center page that utilize dominoes to create number bonds. 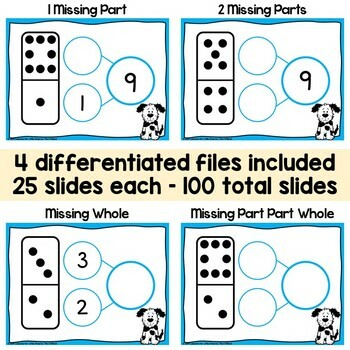 This helps students clearly visualize the part/whole relationship.